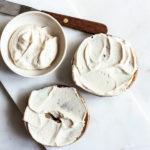 That’s what Kathryne Taylor–also known as Kate from her vibrant blog, Cookie and Kate–has to say about the origins of this recipe. 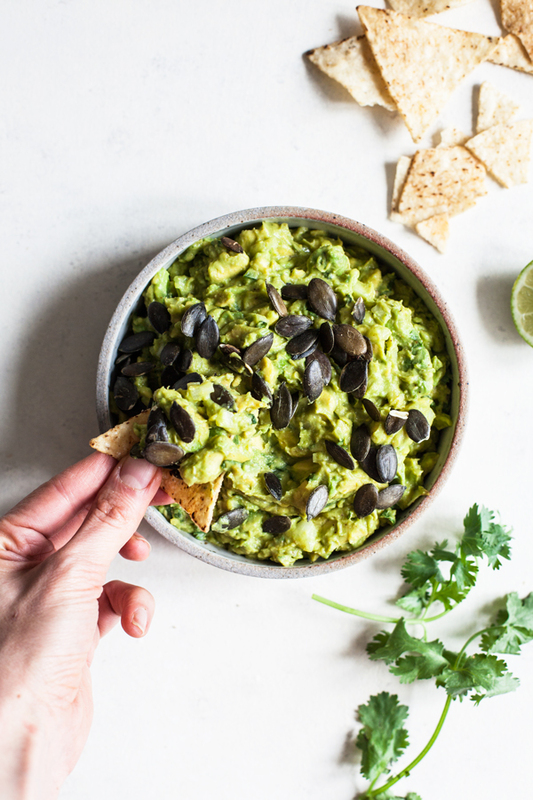 She goes on to describe how she perfected her guacamole game by adding a couple of key flavor/texture boosters, like salted toasted pumpkin seeds and a drizzle of spicy adobo sauce. Her best-ever guacamole with toasted pepitas & chipotle sauce is the result, and it’s totally worthy of the title. The guac is from Kate’s new book, Love Real Food, which I’ve been savoring page by page this month. The book features over 100 creative vegetarian recipes made with whole foods ingredients. It’s also packed with hands-on instruction, bold photos, and crowd-pleasing meal ideas. If you’re a fan of Kate’s blog, then you’ll love the book; it’s true to her spirit in every way, from tone to imagery to recipe style. Kate’s voice is equal parts sweet, sassy, humorous, and approachable: she’s a great guide for someone who’s new to plant-based cooking. Kate starts the book with a quick primer in working with whole, plant-based foods, then talks readers through ingredients and offers some simple culinary how-to. 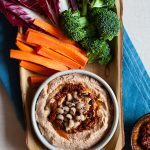 The recipes that follow are colorful, seasonal, and they always feature a ton of fresh produce (Kate’s blog has a monthly farmers market and cooking guide, which I love, and the book builds naturally on her seasonal emphasis). 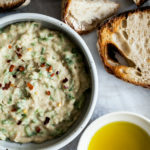 Some of the recipes I’ve bookmarked or made so far are the kale and quinoa salad with crisp celery, plumped cranberries, and lemon dressing, the outrageous herbaceous chickpea salad (which I’ve made twice now, and it’s every bit as good as it sounds), the Mexican roasted veggie bowl with beer beans, and the hearty lentil minestrone. I’m also totally smitten with Kate’s desserts, especially her easy-to-make chocolate oatmeal cookies. One of my favorite features of the book is smart, detail-oriented tips that Kate offers with each recipe. I’ve made so many batches of guacamole over the years, experimenting with different proportions and styles and mix-ins. But Kate gave me some new pointers and ideas, like using a pastry cutter to mash the avocados (now that I’ve done it this way, I probably won’t do it any other way–it’s so easy, and it gives the guac a perfect texture). She also sold me on using white onion instead of red, which is what I’ve used in the past. It’s sweeter and more subtle, and in her recipe, it’s perfectly balanced with the other ingredients. What makes the guacamole so great, though, is the use of spice, including coriander and chipotle en adobo. 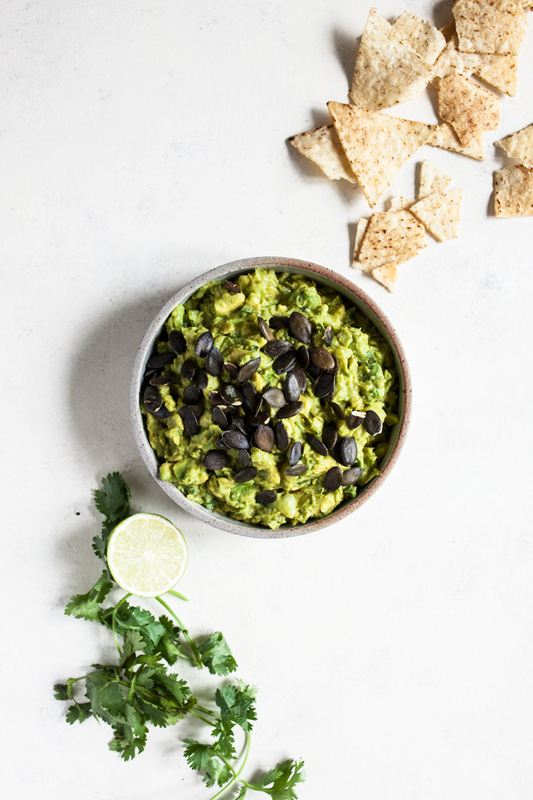 It takes the guacamole to the next level, and it’s indicative of Kate’s approach overall, which is to take beloved recipes, create them with real food ingredients, and then kick the flavors up with confident seasoning. To toast the pepitas, combine the pepitas and olive oil in a small skillet. Cook over medium heat, stirring frequently, until the pepitas turn golden on the edges and start making little popping noises, about 5 minutes. Set aside to cool for a few minutes. Using a spoon, scoop the flesh of the avocados into a low serving bowl, discarding any bruised, browned areas. Using a pastry cutter, potato masher, or fork, mash up the avocado until it reaches your desired texture (I like my guacamole to have some texture, so I stop mashing once there are just small chunks remaining). Promptly add the onion, cilantro, jalapeño, lime juice, coriander, and salt. Stir to combine. Taste and add additional salt (I often add up to ½ teaspoon more) and/or lime juice, if needed. Top the guacamole with the toasted pepitas and drizzle the adobo sauce over the top. To store leftovers, press plastic wrap against the surface of the guacamole and refrigerate for later. Leftovers will keep well for 3 days. If the top turns light brown, just scoop off the browned bits and you should find bright green guacamole underneath. *Look for canned chipotle peppers in adobo sauce in the international/Hispanic aisle of well-stocked grocery stores. If you can’t find them, use a chipotle-flavored hot sauce. The recipe makes a good amount, which means it’s perfect for sharing or using as an appetizer. You can definitely cut it in half, though it might be worthwhile making the whole batch just so that there’s more to savor. 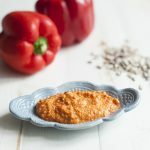 It’s so good: perfectly seasoned, just the right texture (not too chunky and not too mashed), and very tangy. I’m really glad Kate shared it after all. 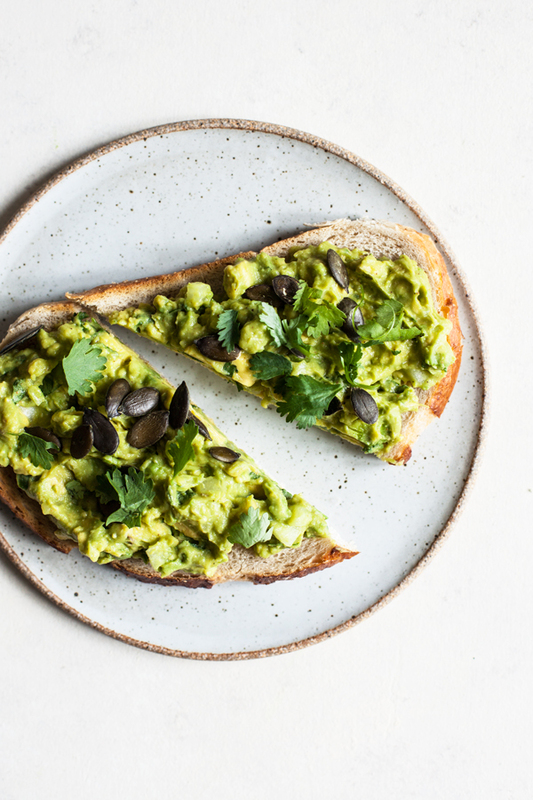 You can use the guac in any of the traditional ways–for serving with corn chips, using in burritos, etc.–or you can use it to make a killer serving of avocado toast. I was out of regular pepitas at home when I made the guac, but I had Austrian pumpkin seeds, which are bigger and darker than the regular ones. Definitely less traditional, but I really liked their toothsome texture! 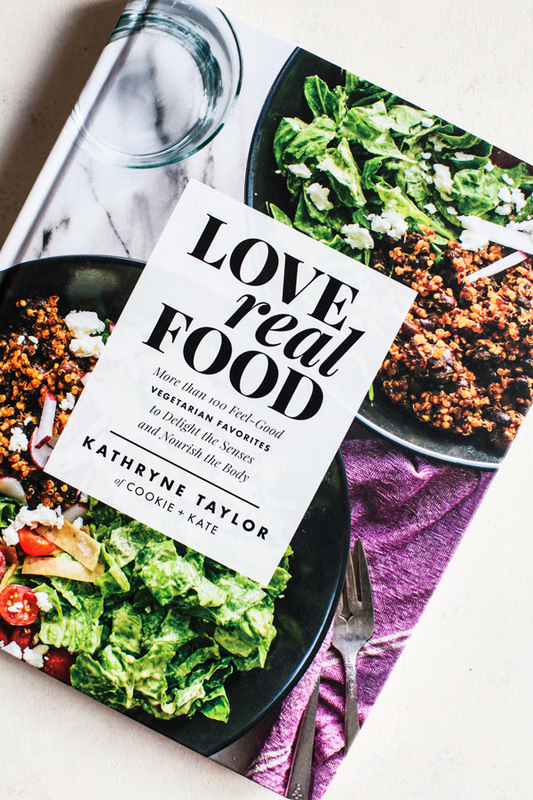 If you’re curious about Love Real Food and you’d like a chance to experience the book for yourself, good news: I’m sharing a copy of the cookbook in today’s giveaway. Simply enter below for a chance to win. The giveaway is open to US and Canadian readers, and I’ll announce the winner a week from today. Good luck, and big thanks to Kate for sharing her passion for produce and plant-based eating with all of us. I’m wrapping up a long week, but my first summer term is finally inching to a close (I’ll be finishing up officially on Tuesday). I’ve got some studying to do this coming weekend, but I hope to squeeze some cooking and outdoor time in, too. And I’ll be back with the usual roundup on Sunday. Happy (almost) weekend! I love simple avocado toast. I know that it is cliche, but it’s so good with mashed avocado, sea salt, and a little lemon! i love making a guacamole/hummus hybrid! Good luck with your exams and end of term! Oops, forgot to answer the question! Avocado toast, for life. Simple is better when it comes to guacamole for me. I usually do some combination of avocado lime juice, salt and pepper and a bit or garlic powder and onion powder if I’m feeling it…this version sounds fantastic though so I may have to try it soon! Gina, thank you so much for your kind review of my book! So glad you appreciate that pastry cutter trick. I’ll have to hunt down some of those Austrian pumpkin seeds. xo! I am very intrigued by this guacamole, because I have to say, I make the best guacamole in the world. (My biggest success story is converting a woman who hates avocados.) My mom and I regularly make a 20-avocado version for holiday parties, and an endless vat of it would be my preferred food to live with forever on a deserted island. I also love making avocado toast with lots of cilantro lime salt, a few dollops of Anita’s coconut yogurt, gomasio, and spicy microgreens. Bless the avocado! I have never had an avocado! If I’m feeling “basic” then my guac is just mashed up avocados, lime juice and salt. It it’s a “fancy” guac then I add chopped up onion, tomato, and jalapeno (super fancy is added cilantro.) I never follow a recipe but this one sounds amazing! I love using smashed avocado in a coconut-bacon tomato sandwich. I love avocados in a cold soup. So refreshing and delicious! A bit boring but I love avocados sliced up in a salad! Lunch feels incomplete without one! I cut avocados in half, pull the seed out, and scoop them out with a spoon. There are too many ways to eat avocado to pick a favorite! Right now a simple salad with cubed avocado and fresh summer tomato is what I’d make, though. 🙂 Thanks for the giveaway opportunity! This guacamole looks great! I love Kate’s blog and would love the book. Super simply- mashed up with some salt & pepper. This recipe looks incredible. I love pepitas! I love plain avocados with sea salt and nutritional yeast. I usually just use avocados, lime juice, and salt. This version sounds amazing though! I’ve actually never made guacamole myself but I will most definitely give this one a try! I love to use avocado in salad dressings, in place of oil. Adds such nice creaminess to it! Also, I recently tried a new chocolate chip cookie recipe where avocado replaces butter, and they tasted fantastic as well. I love guacamole in every which way! On toast, on meat or with eggs. I have actually diced eggs and cojita cheese in my guac. I like avocados simply with salt. And I’d love to get Kate’s book! I love any form of avocado in general. My favorite is to make a big batch of guac with red onion, lime juice salt and cilantro. 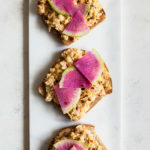 I’ll spread some on toast, topped with sliced radishes for breakfast, use it as a dip for veggies in the afternoon and a salad topper in the evenings. Can’t wait to try this recipe! I love having avocado toast!! Simple, but so delicious! Avocado toast topped with a drizzle of balsamic vinegar and a sprinkle of nutritional yeast is my go-to! I almost always make the same guacamole recipe – avocado with cilantro, a bit of chopped cherry tomatoes, splash of lime juice, and either garlic powder + salt or garlic salt. I love avocado toast with a little basil sprinkled on it! I love anything with avocado in it:) I like to eat it on salad or in an blueberry chocolate avocado pudding. I love smashed avocado on Dave’s Killer Bread and topped with colored peppers and a little rocket then drizzled with balsamic and grilled in the oven.